I would like to begin by thanking those of you who completed the survey reviewing my ministry in the parish community. I really appreciate the time and thought you put into the process. If any issues arose for you while doing this, I am only too happy to discuss these with you. For those who were not involved you will have the opportunity to express your views when we begin the parish review on 16 September. Well I feel like I have taken the title of our recent quiet day literally with our escape to spend some time with Libby in Sydney and then moving to Trinity Beach just north of Cairns where the sun is shining and even warmer weather than Sydney with temperatures around 27 degrees. I really appreciate the opportunity to step aside from the day to day issues and busyness of life. I thank the many of you who have picked up extra tasks to make this possible. So thank you Jo for organising the Quiet Day and I would like to recommend these quiet days to you all. I find the time for prayer and reflection invaluable and so refreshing. The sign “Escape the Circus” was apparently on a building that Quiet Day presenter Jan regularly drove past. I do wonder what the building was used for. I did think what a great sign that would make for a church — or would it? I have heard Bob refer to some of our fun Pentecost services, in particular, as a circus sometimes. I believe it helps us if we step aside from the regular ways in which we worship and have some fun allowing the Holy Spirit the space to be truly in our midst. Taking the message, as I believe it was probably meant to be, in describing our lives as a circus I liked Jan’s comment about juggling priorities, balancing demands, jumping through too many hoops and putting out fires. I wondered if I was the only one in that room that could so easily relate to those comments because often life around the church can feel so much like that some days. As I sat looking out at the beach from the balcony of our apartment at Trinity Beach I admit attending to the odd task so life when we return to Pukekohe would be a little calmer, and I found myself reflecting on that message “Escape the Circus”. Enjoying relaxed meals in the warm fresh air and the lovely view, or going for a drive through the tablelands, walking in the bush, or sitting by the sea or the pool or walking along the fore shore were all reminders of God’s goodness to us. The time away was fast coming to an end. But it was a good reminder of the importance for us all to take the time for refreshment and re-creation to enable us to fulfill the tasks that we are called by God to do. As I hope you are aware the parish is currently undergoing review. This began with a survey of my ministry. This is ongoing but is now moving into a review of the parish. The Ven. Sarah Moss has met with the Vestry and will be attending services on September 16. I would appreciate as many of you as possible being present to hear more about the process directly from Sarah. Yes, my apologies, but there will be another survey for you to complete so Sarah gets a cross section of the view of the parish and its effectiveness in our community as we seek to share the love and acceptance of God with those who worship with us as well as those who live in this community and beyond. Our goal this year has been to strengthen our relationships as individuals and as a faith community with God, with others both within the church and the wider community and the environment. As part of my reflecting on this I was amazed when I saw the extent and variety of what we do. I have included a list of those that came instantly to mind. If I have omitted any please firstly my apologies but also please tell me so we can have a shared understanding of what God is calling us to be and do in our community. Blessings to you all and may this help you to take time and escape the circus to spend time with God. This prayer poem by Ted Loder expresses the longing which so many of us face, the desire to truly connect with God while being distracted by the busyness of life. and everyone was sister and brother. and I will with you, too. As we are coming up to a Parish review, I thought it may be helpful for you to reflect on the activities in which we are involved within our community. Goals for 2018 — Strengthening of our relationships with God, others (within the church and within our community) and with our environment. – Pancake party including burning of the previous year’s palm crosses and explanations of the significance of Shrove Tuesday and Ash Wednesday. – 3 Quiet days this year to date. – Op Shop 3 mornings a week — all income is for pastoral care in the community ($11 000 to PCA, ATWC, and City Mission are main recipients). Also provide perishable items for food parcels and top up other items as and when required. Main recipients referrals from Victim support, Winz, Salvation Army, walk in off the street. 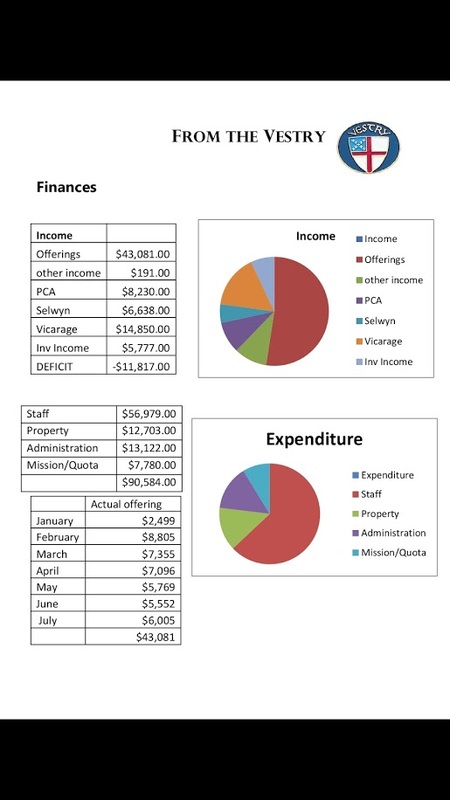 Work with Franklin Family Support for referrals for and from budgeting. Emergency clothing and small household items also available. Working on the movement of the Buckland church to enhance its profile and use in the community. This does not include the tremendous input into the work and ministry within and around the parish life in services, grounds, maintenance and such like all of which are valued, important and essential for the ongoing life and ministry within the parish and beyond. We are so grateful to those going before us in the provision of a fantastic complex that enables us to work with so many people in our community. NB: If you are unable to do your duty on the rostered date, please try to arrange a swap with someone on this Roster. If you are unable to arrange a swap, please choose a person who is not on this month’s Roster to fill in for you and then please notify Noeline in the Parish Office. For families who have been involved in Franklin Hospice. 3-5pm, Saturday September 22, at Franklin Hospice, 29 Hall St, Pukekohe. Franklin Hospice would like to invite you and your family to a memorial service to honour the memories of your loved ones. Please RSVP with numbers on 238 9376 by Friday September 14. Wednesday September 5. Church service at 10.30am ~ All Welcome. Followed by Southern Archdeaconry Meeting. Lunch with Guest Speaker ~ Shelley Buchanan. – Wednesday, September 26 ~ Op Shop opens with all new Spring/Summer stock. Bed linen, blankets, quilts, etc. Towels and other donated items. Money raised is used to help fund programmes in the local community. 10am Thursday September 20. Meet at the Church for Communion. All Welcome. Ladies in Black is an alluring and tender-hearted comedy drama about the lives of a group of Sydney department store employees, adapted by Oscar-nominated director Bruce Beresford (Driving Miss Daisy, Mao’s Last Dancer) from Madeleine St John’s best-selling coming-of-age novel. Set in the summer of 1959, when the impact of European migration and the rise of women’s liberation is about to change Australia forever, bookish school leaver Lisa takes a summer job at prestigious F.G. Goode’s. There she meets the “ladies in black”, who will change her life forever. Beguiled and influenced by Magda, the vivacious manager of the high-fashion floor, and befriended by fellow sales ladies Patty and Fay, Lisa is awakened to a world of possibilities. As she grows from a shy schoolgirl to a glamorous and positive young woman, she herself becomes a catalyst for a cultural change in everyone’s lives.  Put it in your diary now — and please don’t be tempted to go to the show as soon as it is released but come with the fantastic family and friends of the Pukekohe Anglican Parish. Bring cash for raffles. Tickets available from the Parish Office. Please take extra to sell to your friends. Handel Quire & Consort, Sunday October 28 ~ Julius César and Sunday December 9. Rita Paczian and Polly Sussex, Date to be Confirmed. If you would be willing to put your name on the Roster for cleaning the Church, please let Noeline know. With daylight saving fast approaching (clocks go forward early on Sunday September 30), it is time to prepare St Andrew’s communal food garden for spring plantings. Located behind the Vicarage (access via the drive at 18 Wesley St), the garden was conceived as a learning and demonstration facility, covering sustainability issues in the areas of food, water and waste. The garden is maintained by a “friends of the food garden” group, who meet on Wednesday evenings, during daylight saving time, from 7pm until 8pm. We welcome more helpers willing to give an hour of their time to build a resilient community and help mitigate the drivers of climate change. Running alongside the food garden is our Grow Your Own Food course. The fourth course will start on Wednesday September 12. This $60 course has proved popular with those looking to start, or restart, their own food garden. The course begins with a microscope to see the micro-organisms that are so essential to growing good produce in the soil. Organic growing principles are followed on this course. That means no-dig gardening, cover crops and crop rotations, a planting plan using seeds or seedlings, plus composting, vermicasting and our own recipes for managing pests and diseases. So if you know someone who is interested in starting their own garden, point them in the direction of the St Andrews Grow Your Own Food course and the communal food garden. and the warmth of sunshine rays. as we contemplate your care. but in our living too. as this new life you impart. for us, make all things new. Heat oven to 160C. Line slice tin with baking paper. Melt butter. Add cocoa to crushed biscuits and mix in melted butter. Press well into slice tin. Sprinkle coconut, fruit, almonds and choc drops evenly across base. Drizzle condensed milk over. Bake for 20 mins or until golden brown. It’s less than a month until the Suffrage Parade at 1pm on Saturday September 15 in Pukekohe. Some men might think the celebration is just for women. That is far from the truth. We hope that men will join in, celebrating the achievements of their mothers, grandmothers and great grandmothers. Many of their great grandmothers may have helped women gain the vote in 1893. Without these wise and determined female ancestors (and their male supporters) their sisters, wives and daughters would not have the opportunities they have today. The reason the white camellia is associated with Suffrage is because the men in the House of Representatives, who voted in favour of women gaining the right to vote, were given and wore a white camellia. Let’s recognise the hard work and sacrifice that both women and men displayed to achieve women’s suffrage at the Suffrage Parade. Many different nationalities will be in the parade wearing national costume and honouring women important to them. More nationalities in the parade the greater the colour and vibrancy, so if you are receiving this and have neighbours from another country do encourage and support them to enter the parade. The parade is free but it is helpful if participants register their intentions. So please register by pasting into your browser https://goo.gl/forms/22qCwMfrsTknzdQ73 . Walk or dance along King St holding aloft, with pride, a photo of the women significant to your group or family. Corflute for the photos backing can be obtained from stationery stores, lightweight sticks to hold the placard high, can be bamboos from garden shops and the ensemble put together with a few cable ties. Uniforms or period dress will look stunning but is not a prerequisite. Some less mobile people may feel they cannot walk the distance from Seddon Park to the Town Hall and do not want to be in wheelchairs, these people may prefer to join the parade as it crosses Pukekohe Town Square. There are special arrangements for the wheel chairs when they arrive at the Town Hall. The golf cart, for the first aider has to be picked up and returned to Papakura, offers to do this would be welcome. The Bollard cosies/hat knitting has been taken up by many willing knitters around the Franklin County and to date there are around 100 hats completed, many with camellias on the top. Look out for the photo in The Post shortly to be published. Billboards will soon be seen around the town, thanks to the Pukekohe Business Association and Dines team for erecting them. Two TV stations and a radio station have been informed of the pending event, and it is published on Our Auckland. The A4 Posters are now with some of the Pukekohe, Waiuku and Tuakau shops with a request that they go in the windows, so keep an eye out for them and keep talking about the event. If any group can help distribute them in the smaller centres it would be greatly appreciated. Tickets for the afternoon tea are going fast, the entertainment will be sensational and the food exceptional, with the multicultural theme as the focus. Buying a table for 10 gives a group a discount. To register please paste into the browser https://goo.gl/forms/22qCwMfrsTknzdQ73 . There will be no door sales. The souvenir programme is taking shape with Pukekohe High School offering to compile and design it. There are some lovely women going into the programme however a notable Chinese woman, past or present, is still required with photo and biography of around 200 words. Stevenson rooms from 8am on Saturday and the public will be allowed in from 10am to 4.30pm. It could well be the best $20 your club has ever spent. The photographer is engaged and will take photos of each exhibit so groups will be able to use them for future marketing. A willing person with a suitable vehicle is still needed to collect and return the pot plants from Farrell’s Nurseries. If anyone can help please contact Virginia. It has been encouraging to have many school students offering their help in one way or another. Offers have come in from Pukekohe High School and Tuakau College, the Girl Guides and Sea Scouts, the Trade and Commerce section of Manukau Tech. Entries in the junior school completions of Art, Essay writing and speeches closed at 4pm on August 31. The short story entries, which closed on August 28, has a $100 book voucher for the winner. The planning committee is indebted to the many sponsors for assisting with money or kind. Workz4U, Farmers Trading Company, Alpine Printers, Auckland Council, Franklin Local Board, Pukekohe Business Assoc, Super Signs, Dines, Bunnings, Pukekohe Mahila Mandel Ladies Assoc, Ray White Real Estate, The Oba Family & Carol Banks. Thank you. Here is the pattern if you wish to knit bollard cosies/hats. Using 4.00mm needles and any shade of purple wool and can have some green and white. Cast on 54 Stitches and K 2, P 2 for 8” (20cm) . Next K2 together repeatedly until 5 stitches remain. Thread wool through the remaining stitches and sew up. Over all length is 8¾” (22.5cm) approx. No problem if it is longer. A pattern for the camellia flowers can be found online. Sign up for our monthly newsletter by email. © 2016 Word2Art Editing, Writing & Website Services | Designed with ♥ by Sharon Henderson.